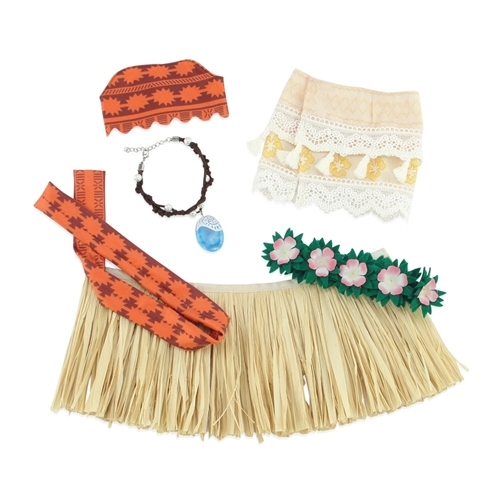 Authentic looking Moana themed VALUE outfit sure to spark your child's imagination! 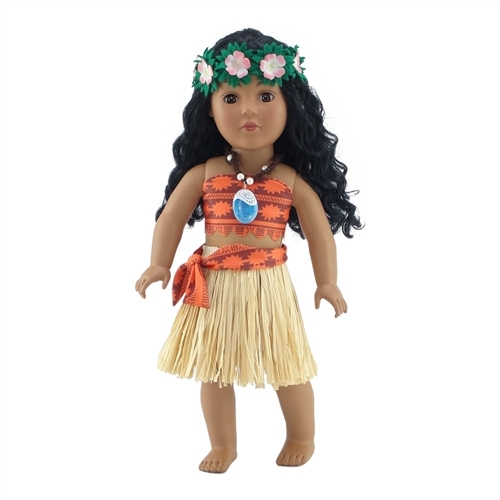 This amazing outfit includes a grass skirt and 2nd skirt overlay with loads of detail, an island print strapless shirt that stretches to fit snugly, and a matching print belt. But that's not all! 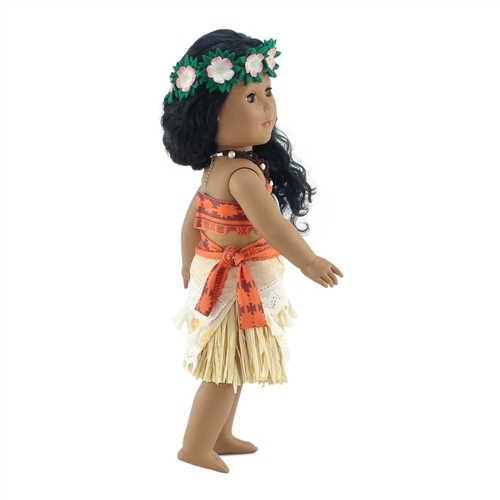 Included in this detailed outfit is a lovely flowered headband and a heart of Te Fiti-inspired necklace! This amazing doll outfit features our special "no grab" Velcro closure, making getting dressed a snap, and comes in our lovely Emily Rose pink gift box! 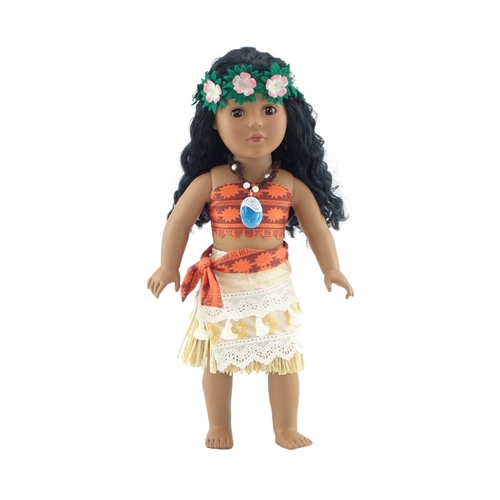 This awesome doll outfit is a perfect addition to your 18 inch doll's wardrobe! 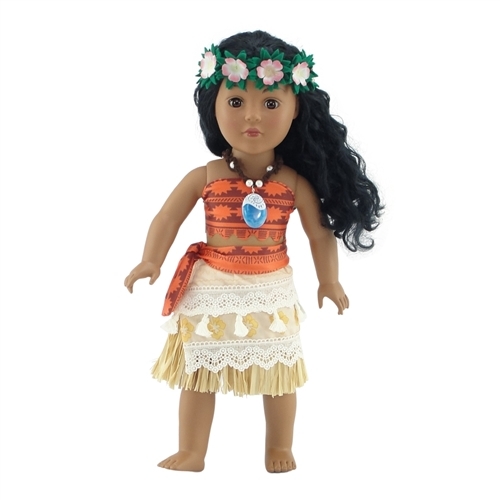 Realistic 18" doll Moana-inspired outfit, including grass skirt, detailed flower overlay skirt, patterned stretch to fit strapless top and matching belt, for hours of pretend fun! 18 Inch doll outfit also includes a beautiful headband and authentic looking adjustable necklace!